Call today and talk to one of the advisors at Your Health Insurance Shop. 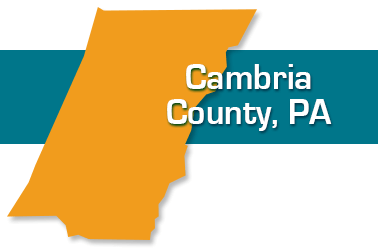 We provide coverage to seniors in Johnstown, Windber, Ebensburg, and throughout Cambria County, PA. We have offices nearby in Somerset, but we would be happy to come meet with you in your town. The Insurance Advisors at Your Health Insurance Shop can help you plan for the future. Our staff has years of experience working with seniors in the Johnstown area and know the health care plans that are available to those who reside in Cambria County Pennsylvania. We offer a free review of your current health coverage or Medicare Plan. Call today at 814-289-4222 and talk to one of the advisors at Your Health Insurance Shop or complete the form below. We can meet you at our office at 118 West Main Street in Somerset, at your home or at a place convenient to you in your own community. We'll also be glad to answer your questions by phone.